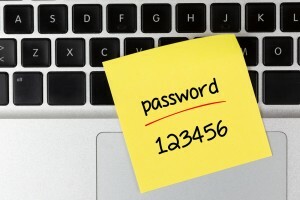 Home › Data Breach › Time to Get Rid of Those Post-it Notes with All Your Passwords!!! Time to Get Rid of Those Post-it Notes with All Your Passwords!!! Cozen O’Connor’s Health Law Informer recently ran a timely piece that should be of interest to everyone. The article describes a new law signed by New Jersey Governor Chris Christie requiring health insurance carriers to encrypt or otherwise secure computerized records of personal information. You can see the piece written by Ryan Blaney and J. Nicole Martin here, and of course, stay tuned to both the Health Law Informer and the Cyber Law Monitor for continuing updates on cybersecurity and data breach standards throughout the country.